Hair dryers for different types of hair. Not sure of your hair type? Your hairdresser can tell you if it’s in good condition, dry or damaged from back-to-back colour treatments or fragile from heat damage. The longer, thicker or coarser your hair, the more power you’ll need if you want to blow dry it straight and smooth. Look for a powerful, quality product with a concentrator attachment such as ghd’s Air Hair Dryer that will help you achieve the perfect finish at home. 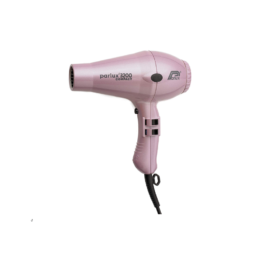 If you’re lucky enough to have naturally healthy, untreated, smooth-textured hair and need a quality dryer to keep it that way, consider a mid-price product such as the ultra-lightweight Label M Tourmaline Dryer (£69.99) used at London Fashion Week. Dryers are not always kind to curls and it’s easy to end up with a seriously big, dry or frizzy mane. But leaving your curls to dry naturally can take forever and isn’t always an option especially if you need a more finished look or if it’s cold outside. Aiming for bouncy, gorgeous curls? 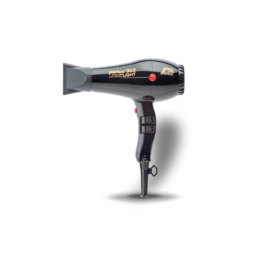 Choose a high-quality, powerful, ceramic dryer with ionic technology for visibly improved shine. A diffuser, which disperses air and keeps heat damage minimal, is essential for faster drying, to eliminate frizz and to create nourished, healthier curls. Use on 50-60% dry hair and switch to a cooler setting to lock in moisture. You’ll need one or two diffusers in different sizes and these can be bought separately to fit most dryers. Check out the BaByliss 5548U Dry & Curl (£19.99, Argos). Super curly or afro hair styles will benefit from a dryer that comes with a special comb attachment such as the Wazor Professional (£35.99) or Wahl Powerpik 3000 Afro Hair Dryer (£20.50). 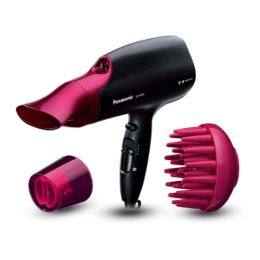 If you have fine or thin hair you can turn the heat down on your hair dryer and use a little less power but chances are you’ll need a product which can deliver volume so choose a model made with ceramic and tourmaline to help combat static or flyaway. 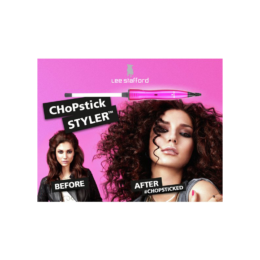 You could add a rotating brush such as the BaByliss Big Hair (£44.99) to your styling kit. It’ll help create lift and body right from the roots. For damaged or colour-treated hair, which tends to be drier and more porous at the ends, try a product that aims to improve moisture balance such as the surprisingly quiet Nanoe EH-NA65 with nanoe TM technology from Panasonic (£109.99, Boots). The Remington Protect D8700 infused with Keratin, Argan and Macadamia oils (£39.99, Boots) is another option. Say goodbye to lacklustre locks, hello to healthy, nourished hair.